There might be no better showcase of the oddity of college basketball than the two meetings between Stephen F. Austin and Central Arkansas during the regular season in 2018. Back on January 24th, the Lumberjacks traveled to Conway on a relatively hot streak and gave up 100 points in an eight-point loss. UCA star Jordan Howard absolutely dazzled, setting a career high with 43 points, and appearing to lead a team quickly trending in the right direction. But UCA dropped four of their next six, including a few weeks later when the teams rematched in Nacogdoches. It was a different story that time around. The Lumberjacks absolutely crushed the Bears, with a 97-62 final, in a game that was never in doubt after a monster run by SFA in the opening half. "I thought the biggest thing was, I saw a little bit of give up tonight," UCA head coach Russ Pennell said at the time. "And that bothered me. It bothered me a lot." 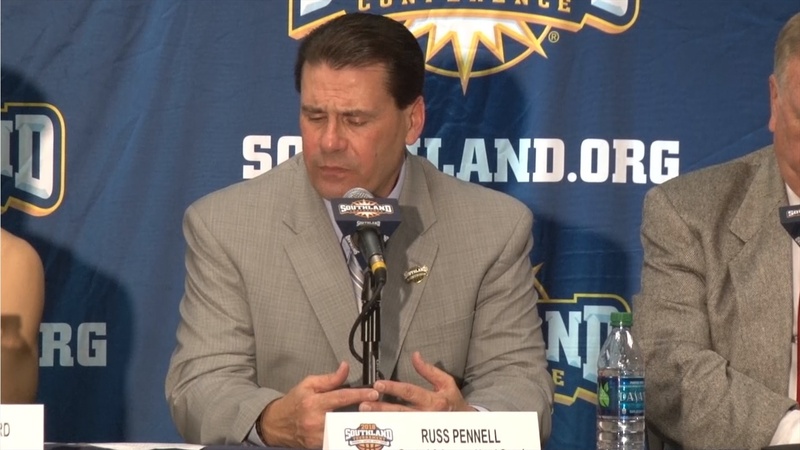 After an opening round victory over Lamar in the 2018 Southland Conference Tournament setup a quarterfinals battle between the two teams — their third meeting of the season — Pennell recalled that night as possibly the circumstances by which their nearly doomed season turned around. "I'll tell you what," Pennell said, referring to the beating in Nacogdoches. "That was a big momentum turner for us." UCA had dropped back-to-back games prior to their mauling by the Lumberjacks. The next day, Pennell followed the advice of his father, a long time coach in his own right, and didn't even address the game. "We went over to Abilene and that might have been the best practice of the year," said Pennell. Pennell's players, namely his seniors, essentially ran the practice on their own, using an outline the coaches had created. The results since then have been the evidence of the turnaround. Central Arkansas has won their last four, including the tournament matchup with Lamar, and will head into another fight with SFA as the hottest first-day team still in the field. Pennell knows the challenge ahead though. "When you play Stephen F. Austin, you better bring your big boy pants and you better be tough," he said. "If you're faint of heart, you don't want to play in that game." The Lumberjacks and Bears will tip-off at 7:30 p.m. on Thursday evening in the Merrell Center. The winner will face top-seeded Nicholls State on Friday for a berth in the league championship. UCA's Pennell: Loss to SFA in Nacogdoches was team's "momentum turner"
Thanks Isaac for the video/write up. They were happy to win last night. They will be ready to go on vacation. And Howard will start his campaigning for the G-league. Let's help them out.